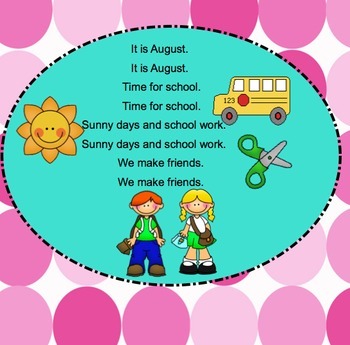 This SMARTboard file includes 13 poems, songs, and games that are perfect for the beginning of the year activities. 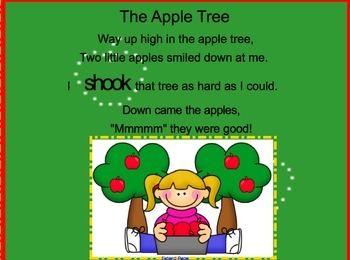 Included are: color songs and poems, apple songs and poems, and August & September songs and poems! Also includes some basic back to school poems and games! Instructions for attaching music to several of the pages are included as well as a song suggestion list! Your kids will LOVE these activities! Plus....they are SUPER CUTE!